Security operatives are in serious dilemma over the suspected billionaire kidnapper, Evans who they say can organise a jailbreak. 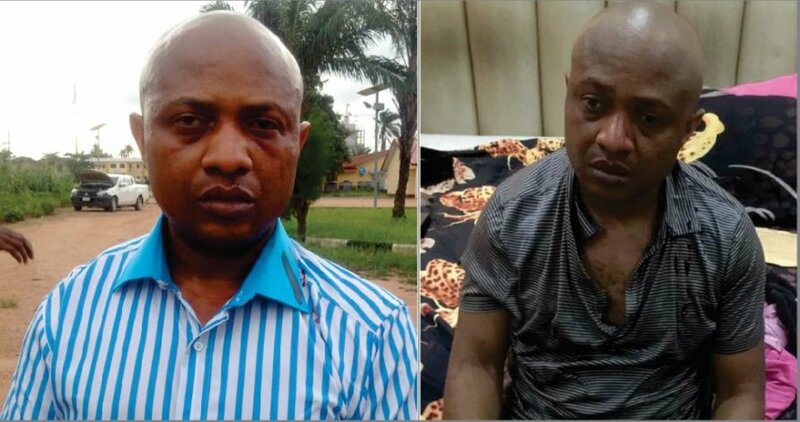 According to a Saturday Vanguard report, there are fears among security operatives that the notorious kidnap kingpin, Mr. Chukwudumeme Onwuamadike, aka, Evans, who was arrested recently by the Police for coordinating several high-profile kidnappings and armed robbery could stage an escape from prison if remanded in prison custody. It was learnt that should Evans be remanded in Prison, he would pose a security threat to the nation given his sophistication and network. Top security agents, who spoke to Saturday Vanguard explained that since the Police were yet to trace all the monies and properties Evans acquired during his 20-year reign as a high profile kidnapper, his stay in prison would avail him the opportunity to reorganize himself and set up a new gang. Again, the police are still investigating to nab his accomplices and may not be in a hurry to charge him to court now. They have a court order to keep him up to three months before he could face prosecution. A source within the security community told SaturdayVanguard that several high profile criminals, who made huge sums money before their arrest were treated preferentially by prison officials, who they alleged gave them easy access to cell phones and internet connections. The source said: “High-profile criminals enjoy VIP treatments in prison custody because they have money. We have learned that these suspects usually pay the warders to be detained in cells that are classified as VIP, and they would have access to their phones as well as the internet. These suspects don’t usually feel like they are in prison custody because they enjoy unlimited access to visitors anytime. “Since his money has not been recovered completely because we had information that he has hotels in Ghana and South Africa, it will be wrong to send him to prison." He is also said to have auto spare parts outlets in Ghana and some other Africa countries. People working for him are numerous and the Police are yet to arrest all of them. If he is remanded in prison with these assets unrecovered, Evans could rule any prison. Evans, can be in prison and easily recruit men outside, radicalise them, buy them arms and send them out for operations. “We have had several cases like that in the past. We had the case of Henry Chibueze, alias Vampire, who kidnapped and killed several persons and was arrested in 2015 by the Department of State Security Service, DSS. While in prison, Vampire sponsored several groups, who carried out kidnappings on his behalf. Having raised enough money he staged an escape from the prison while he was being taken to court. Luckily for us, he was gunned down, a few weeks after his escape. There were also other cases in Abuja and Port Harcourt Rivers State, recently. A suspect in Kuje Prison was identified as the mastermind of several fraud cases where he would send members of his syndicate to buy goods and pay with fake bank alerts. Similarly, Police sources also intimated Saturday Vanguard that the Nnewi -born suspect who received millions of dollars as ransom from his victims after abducting and detaining them for months, was said to have given vivid details of how his gang carried out operations which led to the death of many policemen across the country. 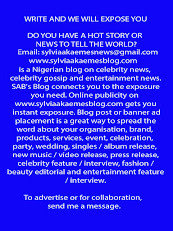 This was after he denied being involved in such operations when asked by Saturday Vanguard during an interview. He only admitted taking part in just three bullion van robberies during his reign. However, sources said his story changed on June 26, 2017, when a Deputy Commissioner of Police currently serving at the Rivers State Police Command, Mr. Felix Vwamhi, contacted the Intelligence Response Team handling his case and informed them that while he served as the Area Commander in Charge of Oyo Town, Oyo State, in 2010, Evans and his gang members carried out multiple bank robberies. He added that a few days after the operation, Evans, and members of his gang went to rob more other banks in Rivers and Abia States. It was gathered that Evans, was caught on Close Circuit Camera, CCTV, stationed at one of the banks clutching an AK-47 rifle, after he and his group stormed the bank and two others, located at Oyo Junction, off Iwo Road. He was said to have apprehended the branch manager of the bank immediately he gained access to the bank and forced him to lead him into the vault where large sums of money were carted away. It was learned that the gang stormed the bank from a village in Iwo Town, where they had camped a night before the operation. They invaded the bank at 10: am on May 20, 2017, after snatching three vehicles from the Oyo/ Road and abducting its occupants. They were said to have attempted to move into Oyo Town where they intended to rob more banks, but they were stopped by Armoured Personnel Carriers. Sources at the IRT disclosed that the Oyo Area Commander at that time secured the service of an informant based in Lagos State, adding that the CCTV at the bank was obtained. The informant, who was said to have identified Evans, while he was seen stuffing bundles of dollars into a bag from the CCTV footage, warned that the gang had concluded plans to carry out more bank robberies in Port-Harcourt, Rivers State, and Aba. Two days after that operation, Evans and his men were also sported in Port-Harcourt, where they raided some banks from where they moved to Aba and raided more banks. Saturday Vanguard gathered that Evans and other commanders in the group, who were identified as directors, shared their loot at a location in Lagos State. Evans and other top members of the gang reportedly kept the foreign currencies stolen from the banks. A few days after sharing their loot, a member of the gang, who specialized in opening bank security doors, was arrested at his residence in Ijesha, Lagos State. He was shown the footage where he saw himself breaking one of the doors to the banks through the aid of the informant. His arrest soon led to the arrest of several members of their gang, but Evans, who was the police prime target, managed to escape to Ghana. It was learned that while policemen from the Oyo Anti-Robbery Squad, SARS, stormed Lagos, having gotten information that Evans was spotted in a nightclub, in Ikeja, he scaled the club’s fence, abandoned his vehicle and absconded. It was further gathered that following this revelation, the IRT confronted Evans with the claims that he may have worked with the late notorious armed robbery czar known as Abiodun Ogunjobi, a.k.a Godogodo, during his reign in the South West. Godogodo was reputed to have killed over 50 policemen and snatched their rifles. However, Evans reportedly admitted taking part in the 2010 Oyo bank robberies but denied ever working with Godogodo. He explained that he did not know the names of all the people he worked with during his robbery escapades. He said: “I don’t know all the people I carried out robbery operations with because I don’t share my contacts with everybody so that when they are caught, they won’t mention my name to the Police. At the time we went for that Oyo robbery, my gang was made up of mainly Igbo boys and traders from Ladipo Spare Part Market. We were working mainly at Port-Harcourt and other parts of the South East, but it was one of our friends known as Paul, who brought us to Oyo for the bank robbery. They were the people who knew the terrain very well. My friend Paul came with some Yoruba boys and we stayed in a village very close Oyo Town. I don’t know the name of that town, but in the morning before we went for the operation, we snatched three vehicles and we used them for the operation. Before we got to the bank, we had some of our men close to monitor movements of security operatives around the bank. And they had strict instructions to take out any security operative that may stand on our way. I don’t know if any policeman was killed during the operation. I was just a driver. I wasn’t carrying any gun. We went to Port-Harcourt after the Oyo robbervans and his gang members carried out multiple bank robberies. He added that a few days after the operation, Evans, and memy and the Yoruba boys didn’t follow us. ND was the person who brought the information on that operation, while Nwanaba, brought the Aba operation. We shared the Oyo robbery loot with the Yoruba boys there in Oyo State before we left for the East.